As I was beginning my study in this passage, I received a random notification on my phone from one of my many apps that contained the Plato quote mentioned above. How strange, right? There I was, studying about the Magi “following yonder star” and a quote on astronomy pops up. Not only that, but Plato’s quote seems to fit well with what “the king of the Jews’ ” star did for the Magi. The star compelled the wise men to gaze into the heavens. Now, we know almost nothing about what this star could have been in the sky at this time, but we do have some clues as to what it meant. Often during this time, stars of this kind that could be in a particular arrangement or position would signify that an important figure was about to come on the scene of history. Somehow, and in someway, this star signaled to the Magi that a king was to be born, or had been born, in Israel. This star compels them to go and seek after the location of this little babe. Where the star led them was to the little town of Bethlehem and to the house of Joseph and Mary. This star compelled the Magi to gaze upwards and filled them with desire to seek out this king of the Jews. Why? Why would the Magi, who by the way were non-Israelites, seek to find the king of the Jews? Well, the text tells us they desired to worship him. But why worship a king who was not to be the king of their homeland? This star had compelled the wise men to “traverse afar” so that they could do the one thing the child born to Mary was worthy of. Worship. ‘King of the Jews’ is presumably meant to be an imprecise messianic designation on the lips of the Magi, of a kind that might be appropriate on the lips of non-Jews. Nolland, J. (2005). The Gospel of Matthew: a commentary on the Greek text (p. 109). Grand Rapids, MI; Carlisle: W.B. Eerdmans; Paternoster Press. In fact, the only other time Jesus was referred to as “king of the Jews” was during his trial before Pilate and during his crucifixion. Again, a designation by a non-Jew. This star compelled them to look upwards in study. 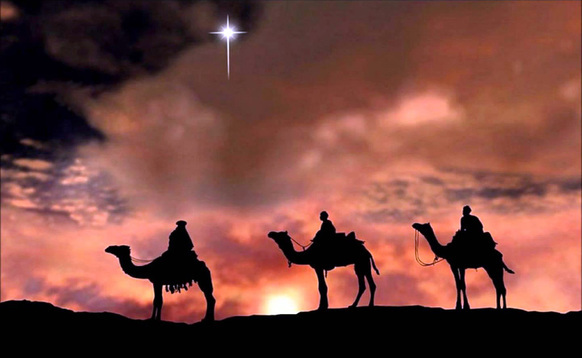 This star led the Magi to travel to Bethlehem. And ultimately, it led the Magi to One who was born into this world, yet came from another. This king of the Jews is Jesus, the Christ, who would be a savior to his people and will one day return in power and glory to establish his perfect reign as King of kings. He is most worthy of our worship! May we continue to learn to worship Him in spirit and in truth for He alone is worthy.